• Easy to follow, and flexible, lesson plans that can be adapted and personalised for use in lessons or smaller groups or 1:1 work. • Resources that are linked to the PSHE and Wellbeing curriculum for KS1, KS2 and KS3. • New research, ‘Circles for Learning’, where the introduction of baby observation into the classroom by a teacher is used to understand and develop self-awareness, skills for learning, relationships, neuroscience and awareness of others. • Sections on the development of key skills in communication, skills for learning, collaboration, empathy and self-confidence. • Learning links, learning objectives and reflection questions. 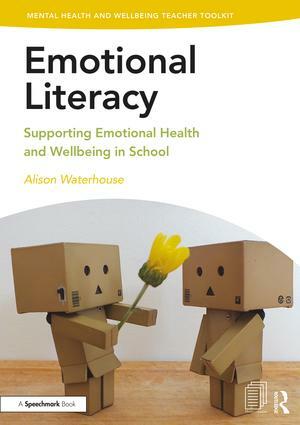 Offering research-driven, practical strategies and lesson plans, Emotional Literacy is an essential resource book for educators and health professionals looking to have a positive impact on the mental health and wellbeing of the children in their care; both now and in the future.